The week two veto ceremony has taken place. We’ve got the details. 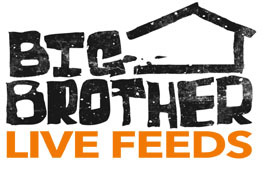 A lot has unfolded since Jessie nominated Steven and Dan for eviction. Michelle won the Power of Veto serveral days ago. Steven and Dan have pleaded with her, each wanting to be saved by the veto. Earlier this week, MICHELLE won the Power of Veto. She can choose to use her power to save one of the nominees, STEVEN and DAN. MICHELLE chose not to use the Power of Veto. The nominations for eviction this week remain the same.